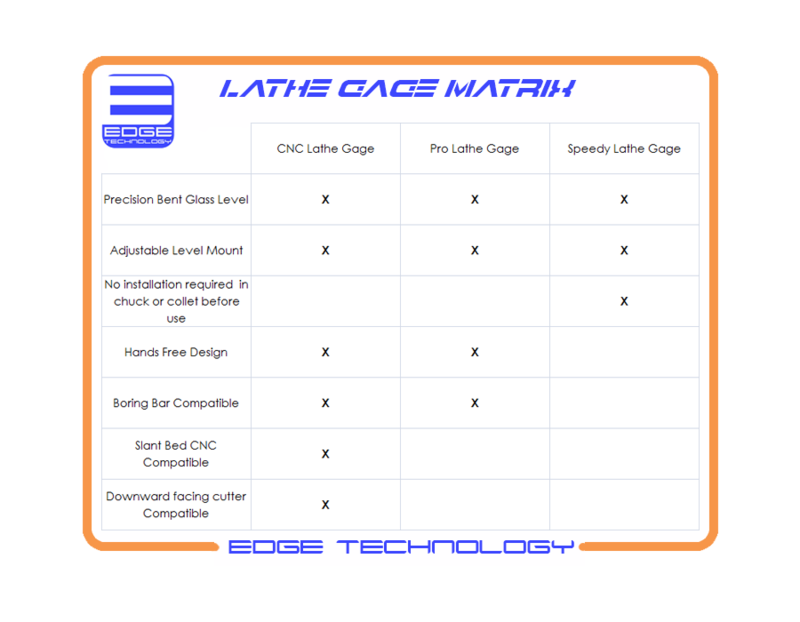 The CNC Lathe Gage by Edge Technology is used to set lathe tools on the spindle axis for optimum cutting conditions. Poorly set cutting tools will leave a "NUB" at the center of the workpiece after performing a facing cut. 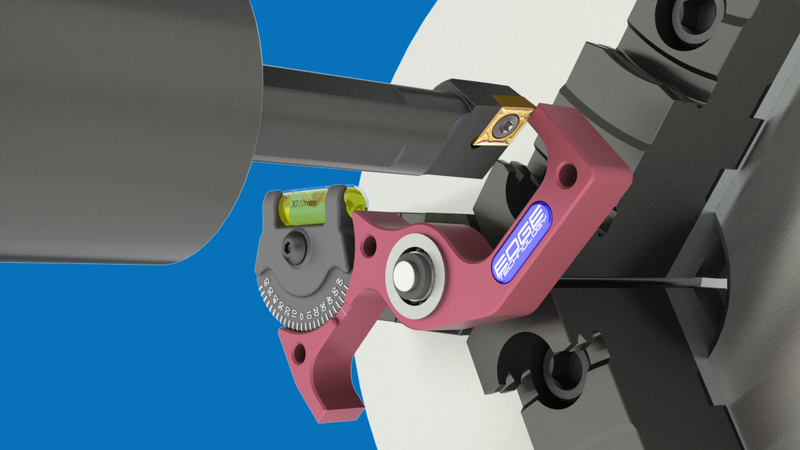 Our CNC Lathe Gage can be used to set tools on the spindle axis and eliminate this issue. This gage is designed with a large amount of angular adjustability, allowing it to be used with any slant bed or swiss style cnc lathe. 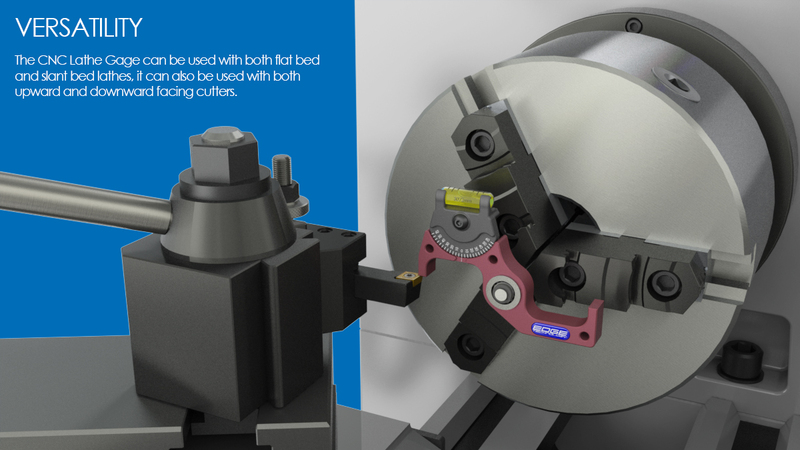 The CNC Lathe Gage also has two different contact faces allowing it to work with both upward and downward facing cutting tools. 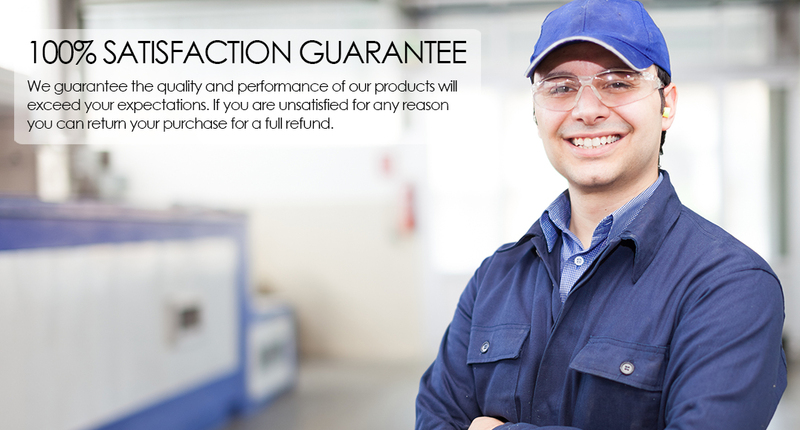 •	Set turning, boring, and facing tools on spindle axis for optimum cutting conditions. 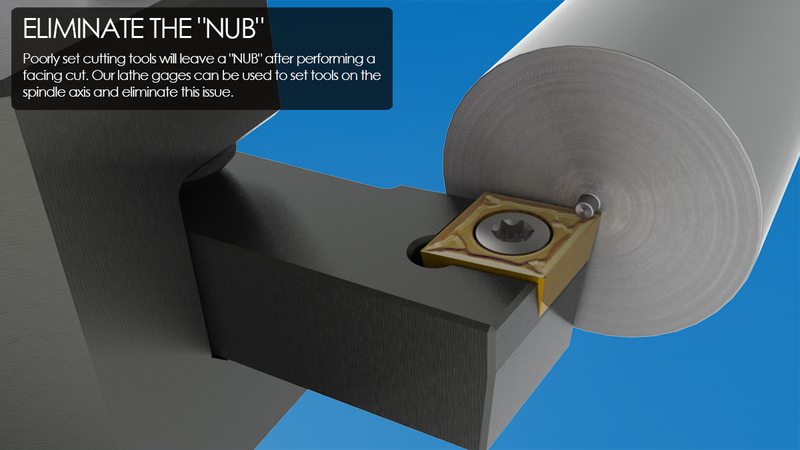 Eliminate the "nub" left by poorly set tools. •	Designed for use with any slant bed or swiss style cnc lathe. •	Cutter contact faces designed to work with tools that have cutting edges facing upward as well as facing downward. •	Angular adjustability of +/- 60°. •	Ground steel shaft supported by dual ball bearings. •	Durable anodized finish with easy-to-read engraved marks.